A 3D formula one racing game made for web browser. It was a single player game with 6 tracks. 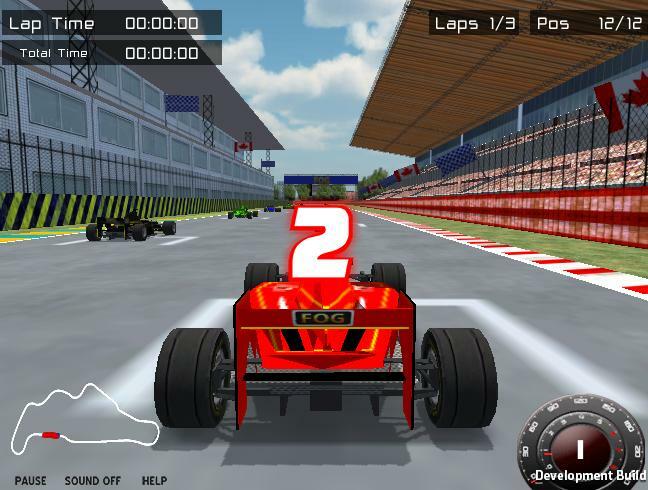 There is only 1 game mode in which you have to race against AI cars and you will get points based on your position. 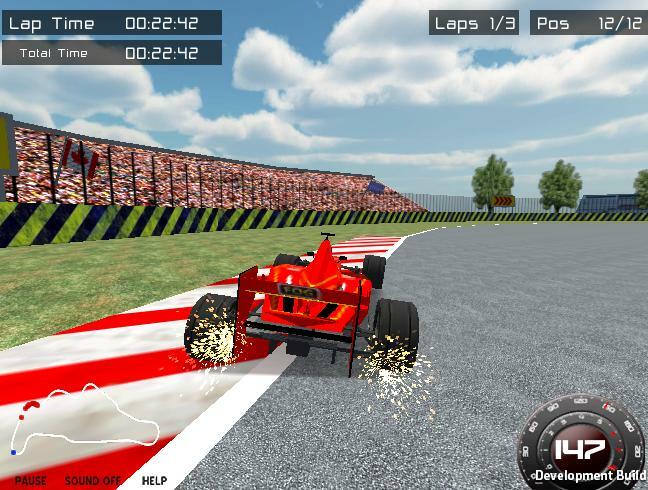 The formula one car was made realistic controls including DRS & KERS, also had a lot of dynamic features like sparks on high-speed braking, simulation of speed reduction and bumpiness on off-road surfaces. 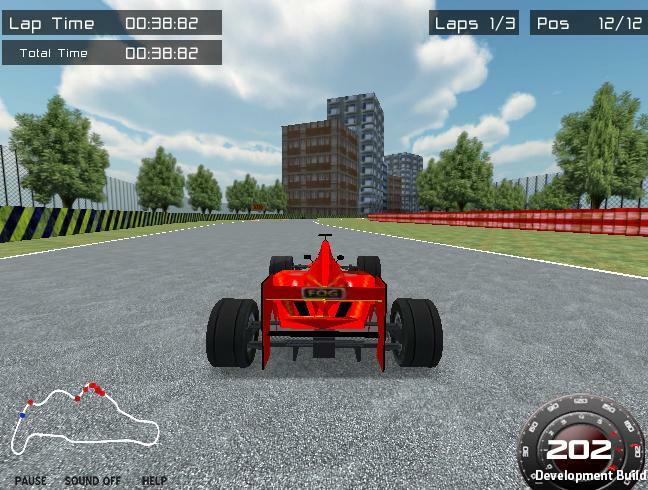 The game was made for unity web player with size constraint of 25-30 MB. I used my own custom GUI solution for the UI including custom sprite animation scripts (done with the help of some custom shaders) for some GUI elements. I made this sort of start pack or some utility code (for both 2d/3d games) which I use in almost all of my personal and commercial projects. This GUI and sprite animations were part of that sdk. This project originally came from FOG.com but came to me through 3rd-party Indian company who forwarded me only programming part. I worked closely with their artist and even had to train him since it was his first game project. The game turned out to be pretty good with 40+ fps even on low-end laptops we used to test the game. Demo Build with 1 test level is available on request.